Spain is the most popular property market in the world right now, as the favourable euro exchange rate with both the pound and dollar make even the most luxurious homes more affordable. As investors from inside and outside of the EU snap up prime bargains, we round up the finest offerings available for $3 million. 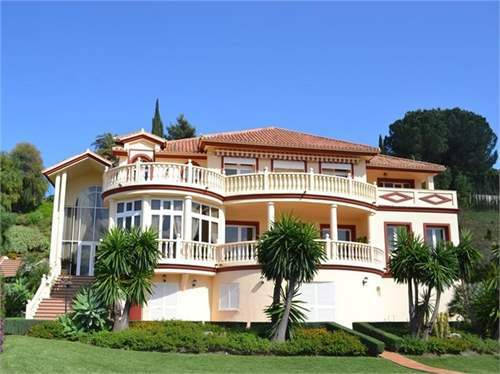 5 bed, 5 bath villa with sea and mountain views in Nueva Andalucia. This property has separate staff quarters as well as a cinema and entertainment room and swimming pool with chiriquito, BBQ area and outdoor kitchen. A fantastic brand new constructed 6 bedroom contemporary villa situated in a quiet cul-de-sac. This south facing front line golf villa, located in one of the best areas of Nueva Andalucia enjoys spectacular views out over the Los Naranjos golf course to the sea beyond.